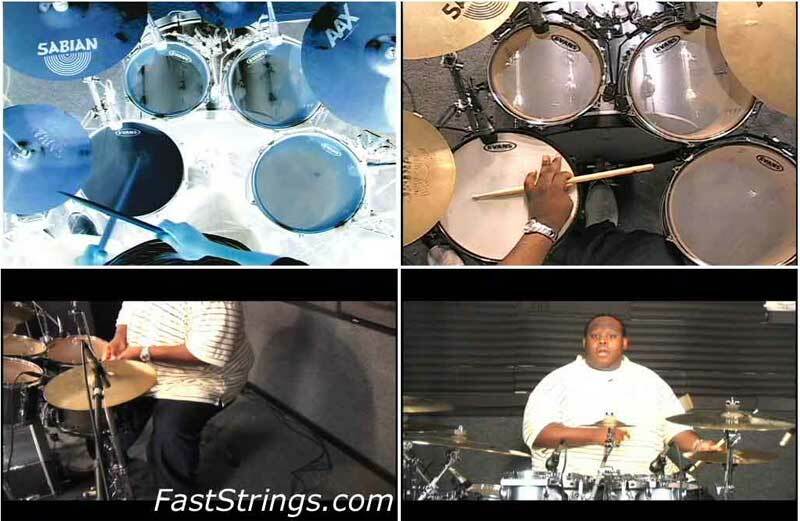 Kenneth ‘Bam’ Alexander Hear and Play Drums 101 DVD download. Kenneth ‘Bam’ Alexander has played for just about everyone in the industry. He’s toured with a countless number of artists in all genres and leads workshops locally in his community. He’s been playing drums for over 20 years… since the tender age of 2 and has certainly been through the “school of hard knocks.” Bam knows both worlds – how to read sheet music and most importantly, how to play by ear. Learn, from start to finish, everything you need to know to play drums like a professional. Learn tons of practice techniques that’ll make you an expert drummer in only half the time. Explore the ins and outs of ALL your basic rudiments and why they are so important on the drum set (…and not just in marching band situations). Cut your learning curve in half by learning a lot of the basics and fundamentals that took Bam years to pick up on his own (independence, timing, counting, rudiments on the drum set, fills, and more)!Independence for Beginners: How to make every limb play different rhythms without getting confused. How to properly hold the drum sticks and an overview on the various types and sizes of drum sticks and their purposes. Learn the major Do’s and Don’ts when picking the right kind, brand, and size of drum equipment to match your specific style. Learn the basics to counting and what quarter, 8th, and 16th notes are. Why the single-stroke roll, double-stroke roll, 5-stroke roll, paradiddle, flam, and flam-tap are important and how to incorporate them into your playing. Learn the secrets to accenting the right notes to gain a more professional sound! Someone have the Kenneth ‘Bam’ Alexander – Hear and Play Drums 102? Thanks admin!!! Someoane have the part two of this DVD???? It’s Great Video! Thanks admin!